Flo-Coat® Galvanized Steel Tubing is Easy (and Safe) to Weld! 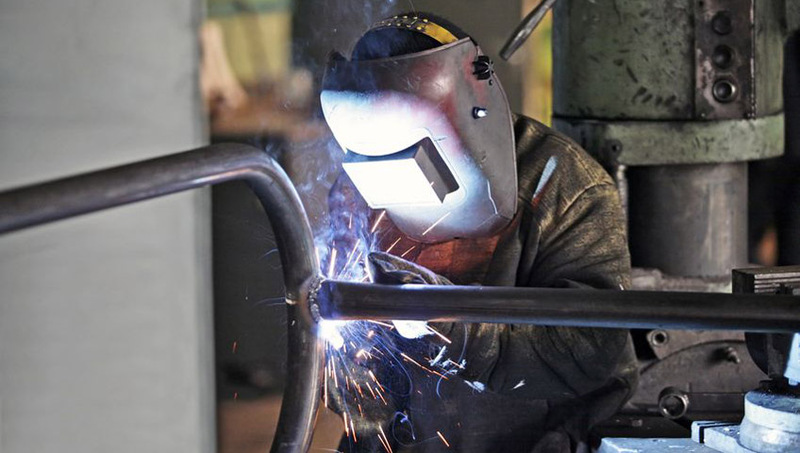 When it comes to welding, Allied's Flo-Coat tubing is like no other galvanized steel product. The unique in-line galvanizing process produces an even, uniform coating which makes welding or other fabricating a simple job. Triple-Coat Protection. 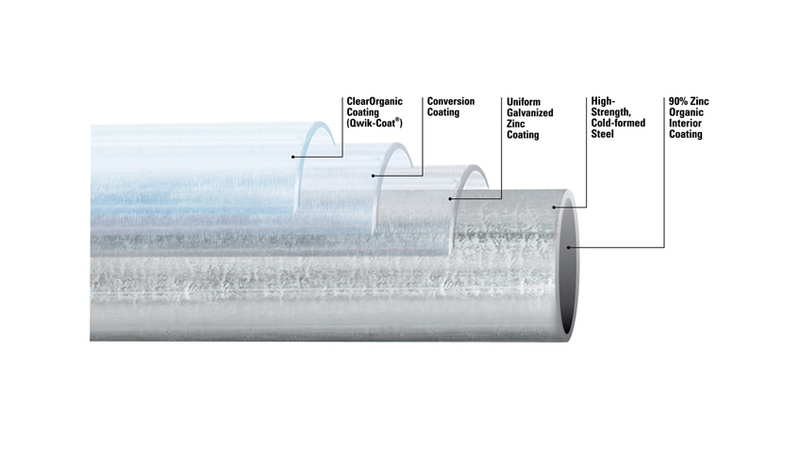 Allied tubing receives a triple layer of protection with zinc, a conversion coating and a clear, organic topcoat. The result is a smooth, shiny appearance that is unmatched in terms of strength, durability and beauty. 99.99% Pure Zinc and Virtually Lead-Free. Hot dipped galvanized products have a naturally occurring lead content of about .5%. This lead is inconsequential except during welding, when some of the lead is vaporized along with the zinc coating. Allied’s zinc coating is 99.99% pure, so lead oxide fumes generated during the welding process are kept to an absolute minimum. 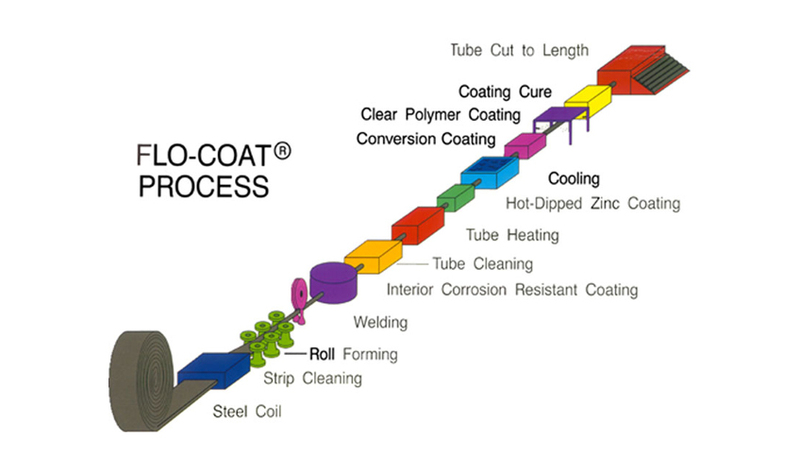 Thin, Uniform Coatings. The in-line application of the coating produces an exceptionally uniform finish. With a hot-dipped product, the zinc coverage tends to be heavier in some areas, and lighter in others. And the zinc layer on Allied's tubing is a much thinner coating than the zinc on a hot-dipped zinc pipe. This makes welding easier, while retaining excellent corrosion resistance due to the synergistic effect of the other two coatings.